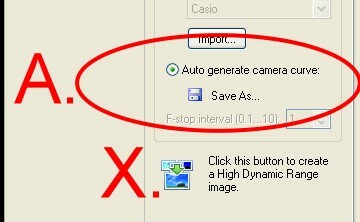 1)Apply the radiobutton, "Autogenerate camera curve". 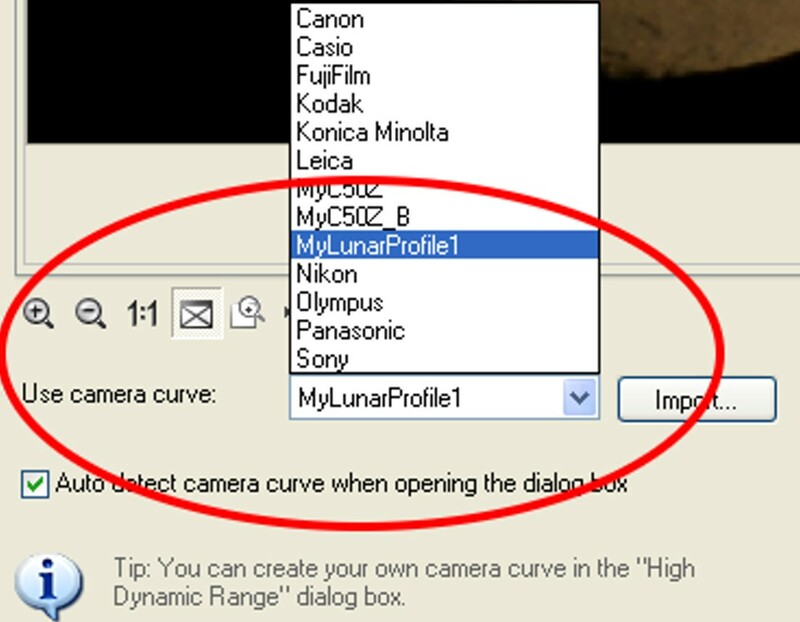 3) Apply a unique name (here: MyLunarProfile1) for your personal camera curve profile and press "save"
4) Press "Click this button to create a High Dynamic Range image" (at position X. above) and you are done! Now, you have not only the HDR-image but you also have your own, specific camera curve profile (in PhotoImpact labelled CCF-file) for later re-use on single-shot exposures of similar type. 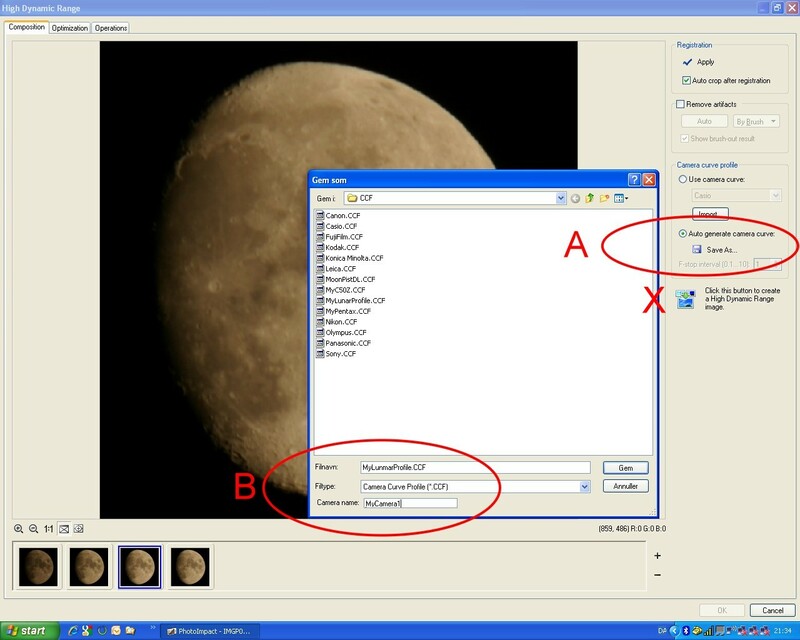 Enhanced image using "MyLunarProfile1" generated above. Note that not only has detail in the dark parts been greatly enhanced but also that the enhanced image - produced using just a single shot - has a remarkable resemblance to the HDR image on the previous page (image I. ), which was produced using four different shots. This again stresses the fact that whereas overexposed images cannot be salvaged to any reasonable degree - if at all - underexposed pictures often contains much more information than meets the eye at first glance. And, if it has been recorded by the CCD, it can also be brought forward for the eye to see. Orinal subtracted dark frame (to eliminate "hot pixels" and enhanced in PhotoImpact using "MyLunarProfile1 generated above. Clearly, curves and camera curve profiles are very efficient tools if you want to get the most out of your digital images!